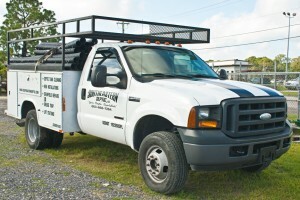 We’ll make sure that the septic tank installation process in Polk County, FL is handled correctly from start to finish. If you’ve decided to replace the current septic tank on your property in Polk County, Florida, you may be tempted to handle the septic tank installation process on your own. However, at Southeastern Septic LLC, we encourage you to let our team install your new septic tank for you for several reasons. First, the septic tank installation process requires knowledge of how these systems work and how they work together with the rest of the septic system. If you’ve never installed a septic tank before, you would need to spend a significant amount of time researching how to do it. Second, even just one mistake during the installation process can compromise the way your entire septic system runs. Plus, if you make an error, you may have to go back and redo a portion of the installation. When you let us take over the septic tank installation process, we’ll make sure that every step is handled with precision and attention to detail. Finally, without extensive knowledge of the septic tank installation process, you may spend your entire weekend doing the installation. Comparatively, by letting us do the install, all you have to do is sit back, relax, and let us put in your new septic tank while you do something else that’s much more enjoyable. 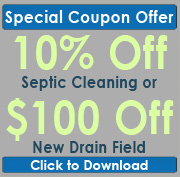 Letting us at Southeastern Septic LLC install your new septic tank can save you time, money, and hassle. To schedule a time for us to come and install a new septic tank on your property, get in contact with us today. For the best Septic Tank Installation services in Bartow, Zephyrhills, Auburndale, Lakeland, Mulberry, Polk City, Winter Haven, Plant City, and Polk County, give Southeastern Septic a call!